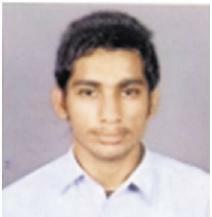 Meet J. Thakkar, a student of STD. XII-D has finished the race of 100 meters in above 16 and secured the First Position in Paldi Ambavadi ward. He has been selected for the Zonal level competition. Young champions of N.R. & GLS High school. In the year 2013, the young challengers of N.R. 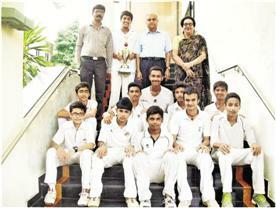 & GLS High School proved themselves all rounder by defeating the teams of the different schools. N.R. & GLS School V/S M. K. School The stars of the match :- Ansh Patel – 46 Runs, Vardhaman Shah – 5 Wickets. Rushil Chavda Was Declared The Best Bowler Of Tournament & Ansh Patel Was The Best Batsman. The N. R. & GLS team was given the trophy in the presence of our Honourable Chief Minister Shri Narendra Modi for their outstanding performance. They were rewarded with the cash prize of Rs. 5000/-. The Executive Vice President of Gujarat Law Society Shri Sudhirbhai Nanvati also gave a cash prize of Rs. 5000/- In appreciation of their efforts. Prachi Shah of Std. IX-B GLS has secured 2nd Rank in the Drawing Competition organized by Pranavanand Vidhyamandir, Bharat Sevasharam Sangh on 4th Feburary 2014. Participation in such competition enhances the students’ artistic skills. Rugved U. Shah of Std. IX-B NR has got gold medal in the training camp of LAWN TENNIS in the U-16 category held by AGETA near Subhash Chowk. Apart from study, participation in such activities promotes innovation, & creativity, sportsmanship spirit. Students from N. R. & GLS.Secondary & Higher Secondary School had been selected as winners in the annual All India Essay writing event which was organised by Shri Ram Chandra Mission (SRCM). Helly Shah., Miraj Bhansali, Mansi Sanghvi and Janshi Bhavshar from NR, and Yogesh Valeja and priyanka Bhagat from GLS were the winners.